Ryan International School – CBSE, Malad is a flourishing CBSE affiliated school in the surroundings from Andheri to Borivali (E) established in year 2010. The school endeavours to develop and chisel a Holistic personality integrated with ethical values, confident to face the challenges of the globalization. The school building is spread over 6 acres of land which ensures a perfect ambience for learning and training the young mind. Airy and spacious class Rooms, Computer Centre, Physics Laboratory, Chemistry Laboratory, Biology Laboratory, Audiovisual Centre, Library, and School Magazine. 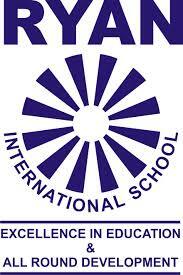 Are you Interested in Ryan International School Malad (W).